Prepaid or debit card casino Canada 2017: Examining the advantages and pitfalls of two popular deposit options. For two decades, Canadians have enjoyed the ability to place wagers over the internet. Technology has advanced immensely in that time. The games run smoother, the graphics are incredible, and we can access them from just about anywhere on a mobile device. One thing that hasn’t changed too much is the way we fund our online gaming accounts. Online payment processors have come and gone over the years, but all else remain static. 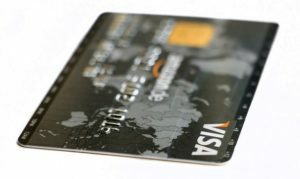 Credit cards and debit cards are among the most popular options, along with prepaid cards, direct bank transfers and eChecks (ACH). 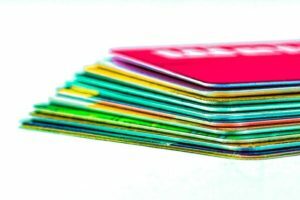 But for some reason, the majority of us seem to feel better about divulging information from a card than we do inputting our actual bank account numbers. One is linked directly to the other, but the bank account – it’s so personal! It makes sense in other ways, too. If a card’s info is stolen, a quick phone call to the issuing bank solves the matter. The card is canceled and bank insurance covers any losses. They issue a new card and we cut up the old one—problem solved. Asking for a whole new bank account though? That’s a more complicated, hands-on annoyance. So if long-term security is a primary concern, bank transfers and electronic checks are out. That leaves us with credit, debit and prepaid cards. The obvious problem with credit cards is that they allow us to spend money we don’t actually have, and pay off the bill later. Unless you’re rolling in the dough, that’s generally a bad idea where gambling is concerned. It could easily result in overstepping our limits. So for responsible gamblers, credit cards are out. Both prepaid and debit card casino deposits are great options. But they each have their positive and negative sides. We’ll start with debit cards, then move onto the prepaid variety. Debit cards are super convenient. We all have one, and it’s already linked to our bank account. We can’t spend more than we have by using them, and deposits are instant. They’re also absolutely free. There’s no extra charge for using the card at an online casino. The amount you deposit is the amount you pay. Plus, every online and mobile casino accepts debit cards. The fact that it’s linked to your bank account, though – doesn’t that present the same security risk? Yes, there’s always that slim chance the debit card info could be stolen. You never know where prying eyes may lie. Then again, this is 2017, and internet security is much tighter than it used to be. Data encryption is incredibly sophisticated. So long as the casino website you’re transferring money to utilizes utmost security measures – evident by merely looking for the “https://” at the start of the URL – debit card casino deposits should be perfectly safe. The only danger of having your card info stolen would likely come from an outside source – not the casino website. If someone hacked your desktop computer, installed a key-logger, or got hold of your mobile device, then you might have reason to worry. But that’s more a question of how careful you are with you electronics, and who you let use them. All in all, with a debit card casino Canada players enjoy safe, convenient and cost effective deposits. Starting with the most obvious negative, prepaid cards are not free. You’ll pay a few dollars on top of the amount you’re loading onto the card when purchasing one. However, there’s absolutely no security risk involved. This is the only method that offers 100% safety assurance. The key is to load a prepaid card with the exact amount you intend to deposit. 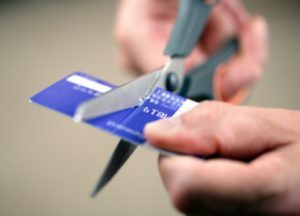 After you make the purchase, cut up the card and toss it in the trash. If any prying eyes happen to catch a glimpse of the card’s 16-digit number and PIN, so what? Depleted of all funds, the card is now useless. Like debit cards, prepaid card casino deposits are instant, and there’s no additional fee when depositing. They’re easy to buy, easy to use, and the peace of mind they offer is well worth the extra $2-$5 it costs to buy them. Another potential negative, however, is the range of online and mobile casinos that accept prepaid cards. When deciding between a prepaid or debit card casino, Canada players must take note of which deposit options are available.